Using this book, you will develop a full-blown Web application in a step-by-step tutorial. The application is a component showcase that you can use as a reference implementation for your own projects. The application also includes advanced enterprise components implemented in Facelets technology. 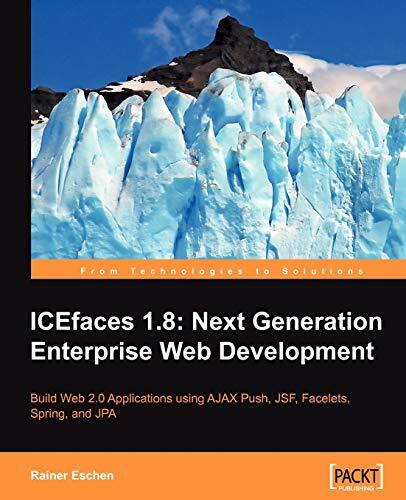 If you are an enterprise developer who wants to add the latest Web 2.0 features to a JSF project this book is for you. You need a basic knowledge of the Spring Framework configuration through annotations and the usage of JPA annotations.